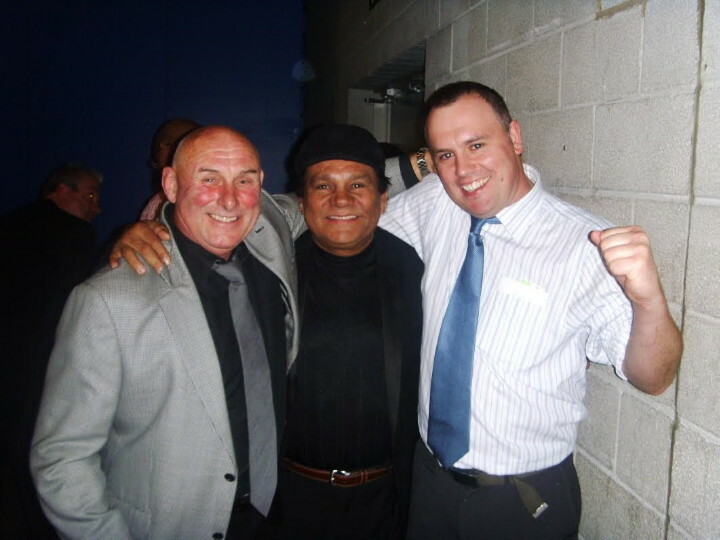 Turning 66 years old day is the great, the hugely celebrated Roberto Duran. One of the finest “born fighters” in history, Duran lit up the sport in a major way for years. Arguably the finest living fighter today, Duran did everything his way. Turning pro in February of 1968, Duran won a UD over four-rounds against a guy named Carlos Mendoza. Roberto would go on to score a number of brutal KO’s and he would also collect no less than four world titles in different weight classes – lightweight, welterweight, light-middleweight and middleweight being the divisions this legend conquered. And who can forget the classic battles Duran gave us while doing so? Indeed, there are so many Duran bouts to recount, this tribute article focuses only on the great man’s lightweight contests – 135-pounds being the weight the peak and most formidable version of Duran boxed at. Practically all of Roberto’s early fights took place in his homeland, with a couple of bouts held in Mexico. But then in September of 1971, Duran made his US and Madison Square Garden debut, as he TKO’d Benny Huertas in the opening round. Four fights later, at the same venue, Duran controversially took the WBA lightweight crown from Scotland’s Ken Buchanan. Sending Buchanan to the floor in agony at the end of the 13th round with what was later claimed to be a low blow, the man also known as “Cholo” was the new ruler at 135-pounds. Buchanan, years later, claimed he still hated Duran for taking his title in such a ruthless and dirty manner. Surprisingly, Duran lost at the weight before he even had a chance to defend his belt – dropping a ten-round decision to Esteban De Jesus, the man who would prove to be his fiercest rival at lightweight. De Jesus decked Duran in the 1st round at The Garden in November of ’72, as the first bout of an eventual three fight series began. Still champion, Duran went on to defend his belt three times, before making his fourth defence against the Puerto Rican sixteen months after losing to him. Amazingly, Duran was again floored in the opening round. This time, though, he got up and pounded out a fine KO in the 11th round. Roberto’s sole career loss had been avenged. The rubber-match would not be fought until 1978. In the meantime, Duran would defend his lightweight title a further seven times – included amongst these fights being the famously brutal 14th round KO of Ray Lampkin in March of ’75; Lampkin being hospitalised after the fight. During this time, Roberto – even back then having some trouble keeping his weight down between bouts – boxed a number of fights up at 140-pounds. Duran’s final lightweight fight came in January of ’78, and fittingly it was the third and deciding encounter with De Jesus. Making the fight even bigger was the fact that it was a WBA/WBC unification affair – De Jesus having won the WBC championship in May of ’76. Another great fight ensued between the two bitter rivals, and this time Duran emerged victorious with a 12th round stoppage. His archrival had been seen off, and Roberto was now the undisputed lightweight king. It wasn’t until the following January that Duran officially vacated the lightweight throne, but he boxed again as soon as April of 1978, up at light-welterweight. Just over two years later, he would win what is arguably his most famous and most impressive victory. On June 20th, 1980, the quintessential tough guy would beat up boxing’s new glamour star, “Sugar” Ray Leonard. It was Duran’s lightweight peak that really impressed some experts, though, and there is little doubt that during his six-and-a-half year reign in which he made 12 retentions, Duran made an indelible mark on his sport. Among the men Duran defeated at 135-pounds are: Buchanan, De Jesus (X2), Lampkin and Edwin Viruet. Some historians say Duran was the greatest lightweight in all of boxing. Another thing fans debate today is, how would Duran have handled the defensive master that is Floyd Mayweather Junior – either at 135, 140 or 147-pounds? Duran added how each of the “Four Kings” – himself, Leonard, Hagler and Hearns, “beat better fighters than Mayweather.” Duran also said Floyd owes him a debt, having picked up some of his fine defensive moves. Of all the fighters of today, Duran said Mayweather is the fighter he would most liked to have fought. It’s a differet era of course, but plenty of boxing fans are certain: Duran would have beaten Mayweather. Next boxing news: An angry Sergey Kovalev storms out of presser; round-one to Andre Ward?